Rockin' Blues, Rockabilly, Jump & Swing! 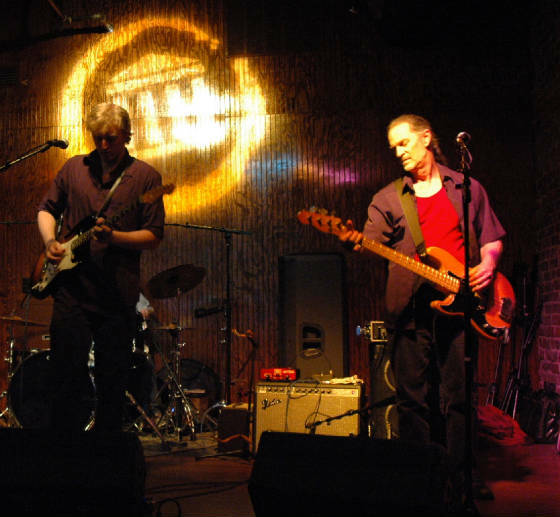 Still Standing is a group of professional musicians hand-picked by Wolf who have played or currently play individually or together in some of the most popular American Roots and Blues bands in the DC, Baltimore and Northern Virginia area. Many of them are showcased as special guests in his popular and long-running regular weekly blues jams. From this group of talented musicians, a wide variety of performances are formed to produce a series of shows called, "Wolf's Night of Rockin' Blues." Whether it's a trio or a multi-band show, or anything in between, they bring the best Rockin' Blues, Jump, Swing and Rockabilly from all their various projects to the stage whenever the perform. Big Boy Little, Steve "Baby Jake" Jacobs, Linwood Taylor, Mike Westcott, Wave Milor and more! For individual performer videos, click link below.